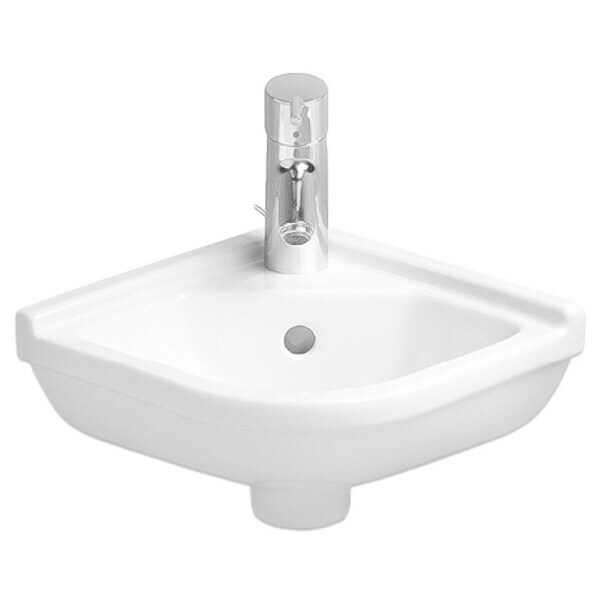 Take advantage of open corners with this Duravit handrinse basin. This white corner model is just right for tucking into spare space in the basement or a utility room, and it includes all the fixings. Dimensions 16.0 In. X 16.0 In. X 11.0 In.